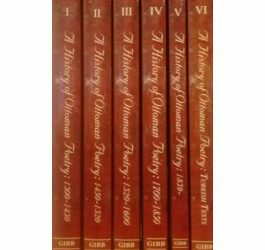 The History of Ottoman Poetry, first published in six volumes between 1900 and 1909, was the principal product of E.J.W. 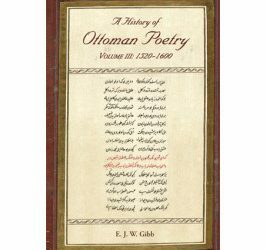 Gibb’s devotion to Ottoman Turkish literature. By the time of his early death in 1901 only the first volume had appeared in print. The remainder was almost complete and was seen through the press by Gibb’s friend and literary executor, the Persian scholar E. G. Browne. The History was designed to provide the first extended account in English of Ottoman literature. The first four volumes cover four developmental phases, largely under the influence of Persian literature, from around 1300 to the middle of the nineteenth century. 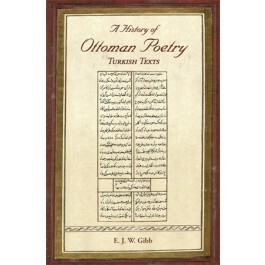 The fifth volume introduces the ‘New School’ of Ottoman poetry produced in Gibb’s own era and inspired by French models. The sixth volume contains in Ottoman printed script the texts of all works quoted in English translation in the previous volumes. No comparable study has appeared in English since Gibb’s magnum opus. His History of Ottoman Poetry has become a classic work which is still widely referred to and valuable for students, scholars and anyone with a general interest in Middle Eastern literature and culture. 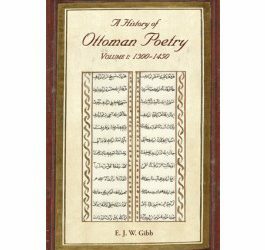 Volume VI (originally published 1909) completes Gibb’s History of Ottoman Poetry. In 378 pages, it contains in printed Ottoman script the texts of all the poems translated by Gibb in the previous five volumes, transcribed from originals recovered by Browne from Gibb’s manuscripts and research papers. A photograph of Gibb, taken probably in the late 1890s, forms the frontispiece of this final volume.